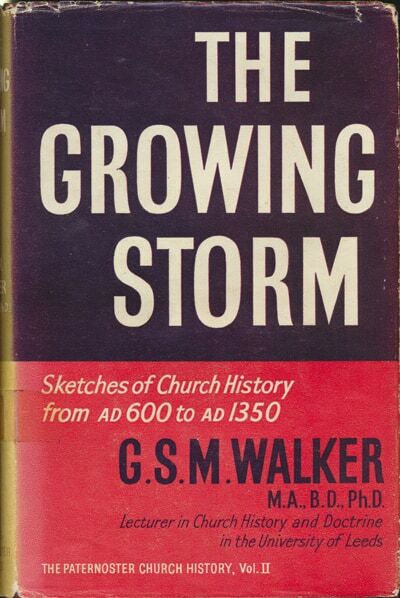 That the so-called “Dark Ages” contained a surprising amount of light soon becomes clear from the pages of this second volume in the Paternoster Church History. Even the Medieval Papacy, whose rise and fall is, broadley speaking, covered by the period of this book, and which became a laughing-stock and was treated as a scandal, had at the outset sought to embody a great principle – the principle that the spiritual is superior to the temporal, that morality is superior to politics, that Christ is superior to the kingdoms of mankind. It was for the same principle that in later times Scottish Covenanters were to contend and suffer, so demonstrating a historical unity of problems in widely differing periods and circumstances. Indeed, this book cealr underlines this historical unity by showing that even in the Middle Ages men grappled with problems not unlike our own; but the roles were so surprisingly reversed that it is often hard for the modern mind to see clearly which was the angels’ side. The instance, monks were busy preaching puritan sermons, scholars were almost all fundamentalists, early “Protestants” were devoted to the Virgin, and there was actually a sort of evangelical revival which won warmer sympathy from the reigning Pontiff than would have been shewn by an English Bishop of John Wesley’s day. This complex period Dr. Walker graphically illustrates by telling the story of some characteristic lives, with sufficient background to make the narrative cohetrent, in spite of the seven-and-a half centuries that are covered. Gregory, Boniface, and Hildebrand, Anselm, Abelard and Bernard, Francis, Aquinas, Raymond Lull, Dante and others, all make their contribution to a composite picture in which the various convictions, catholic and evangelical and liberal, are well and widely represented, sometimes even fermenting together in the same brain. Then we see the tension mounting and the storm-clouds gathering, as distinct parties draw apart in a struggle that would intensify with the coming of Wycliffe, and would come to its climax in the Reformation. Paternoster Press does not hold the digital rights to this book. All reasonable efforts have been made to locate the copyright holder without success. If you know who holds the copyright, please contact me.